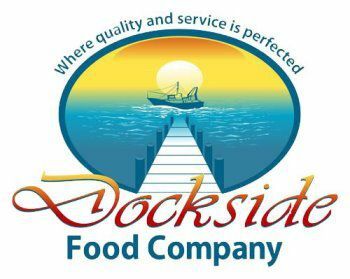 Dockside Food Company & Captain’s Choice Limited carries an extensive range of high quality seafood products including (but not limited to) raw fish, shrimp, conch, lobster, squid and smoked salmon as well as marinated and breaded fish and shrimp. Our seafood products are imported from many countries including Thailand, Indonesia, Vietnam, Taiwan, China, Peru, Grenada, Suriname and Guyana. We have implemented a Food Safety Management System that is compliant to FSSC 22000 which includes ISO 22000:2005 and ISO 22002-1:2009 International Standards and incorporates Hazard Analysis of Critical Control Points Program (HACCP) principles. This ensures that customers receive foods which are “safe” from physical, chemical and microbiological hazards and allows us to import and export to and from any place in the world. All products imported from the Far East are inspected and tested for both chemical and microbiological hazards by the SGS Group and certified safe prior to shipping. By working with GFSI and HACCP certified national and international suppliers and producers, we sell only the highest quality products that are subject to testing by GFSI accredited laboratories. Additionally we only work with those suppliers who share our commitment to maintaining the highest seafood quality standards. Our company has two core businesses – Seafood & Meats and Industrial Machinery. Under the Seafood & Meats Division, we have two units Dockside Food Company and Captain’s Choice Limited. Dockside Food Company handles our raw seafood products while Captain’s Choice Limited handle our value added seafood and meat products. Dockside Food Company distributes sanitation systems for Sanitech Corporation (USA). Tumblers & massage systems and pickle injector systems for Inject Star Machine Factory (Austria) as well as vacuum packaging machines for Henkelman BV. Dockside Food Company is also the seafood broker for the Caribbean region for Landauer Limited (UK) and distributes industrial equipment for the food industry.